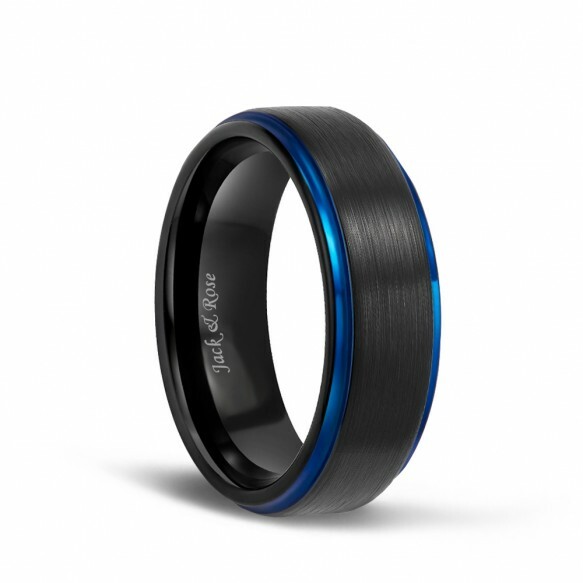 This ring has a two-tone design with blue and black, making it look more elegant and stylish. 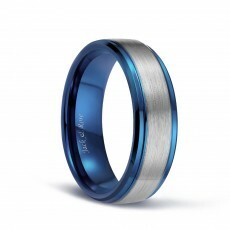 There is arched design on the inside, half line edge and highly polished make the ring a perfect fit for your fingers. Matte design on the outside and 2 circles depressed 1 mm IP blue plated looks amazing. At the same time, our products provide customer service, you don't have to worry about quality issues, we will serve you for life. Very beautiful brushed looking, durable and beautiful. Very nice quality. Beautiful ring! It's just the right size and beautiful, hopefully it won't fade. 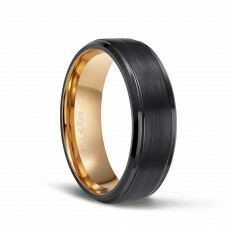 Looked good,this is the ring I bought that l thought could take the wear and tear of daily life. It feels comfortable and fit well. Beautiful ring! Manly, but stunning! 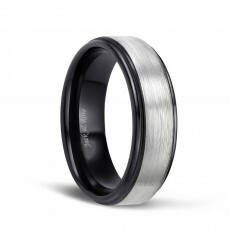 My fiance works in construction, so we were looking for something nice, but inexpensive as his wedding band. The ring was beautiful and exactly as described. The quality is perfect. I have no negative comments. Very happy with this ring, good quality! Very nice ring and you can't beat the price. Real comfortable and I have always preferred the 8mm width for a ring. This ring was definitely worth the price. My husband loves it. He gets compliments on it everyday. This has to be one of the most gorgeous rings I've bought. It comes in a nice box like from a jewlery store. It has a nice weight and is comfortable to wear. Yes, every ring will have a beautiful box, thank you. 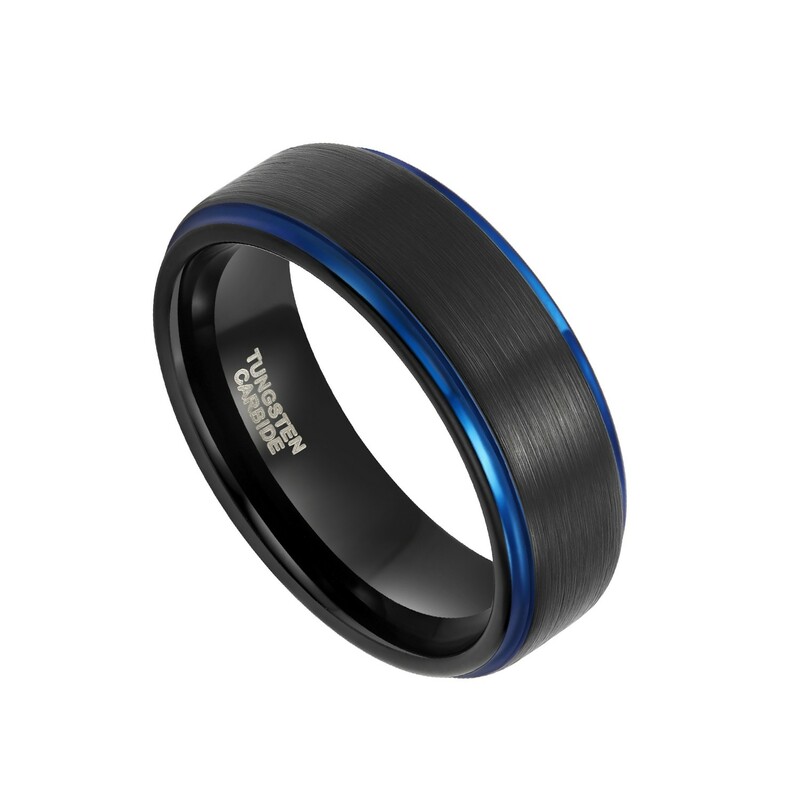 Yes, it is solid solid tungsten. 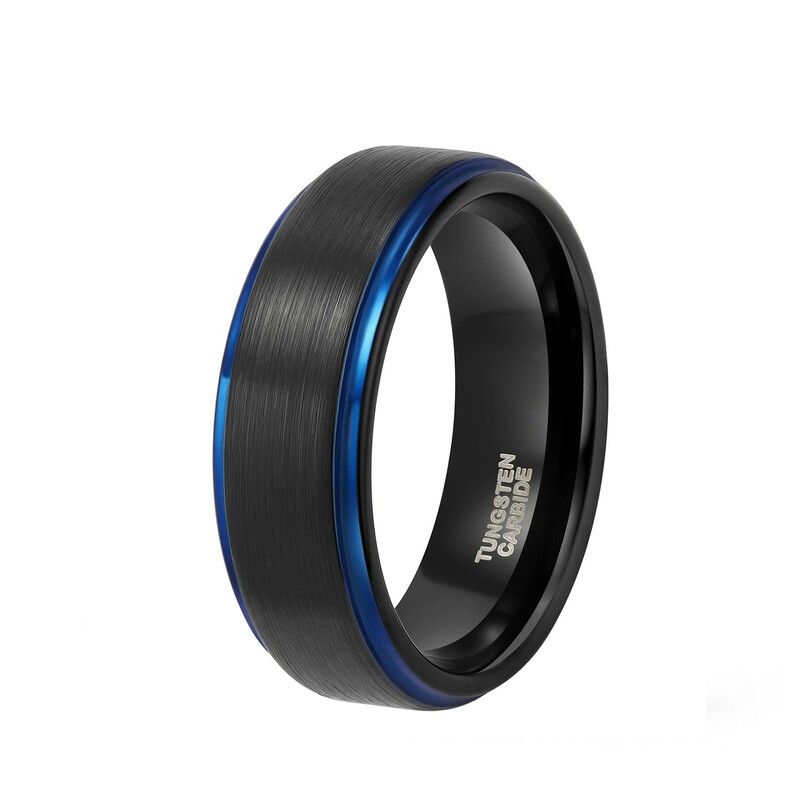 Dear, because the tungsten is very hard, this ring can't be resized, please forgive me, thank you. 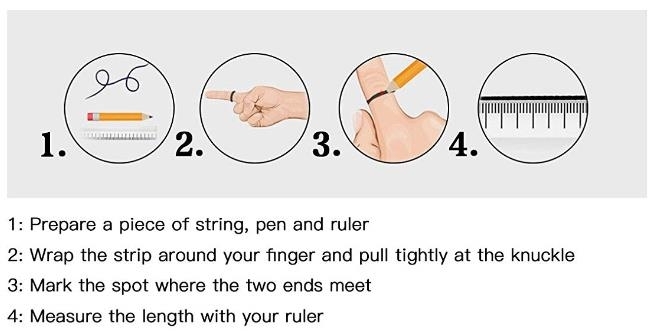 Hello, when you hit a hard thing, the ring will break or rupture, so it depends on what is stuck. Hello, it will not rust and fade when it meets water, but it is best to take it off when showering, thank you.